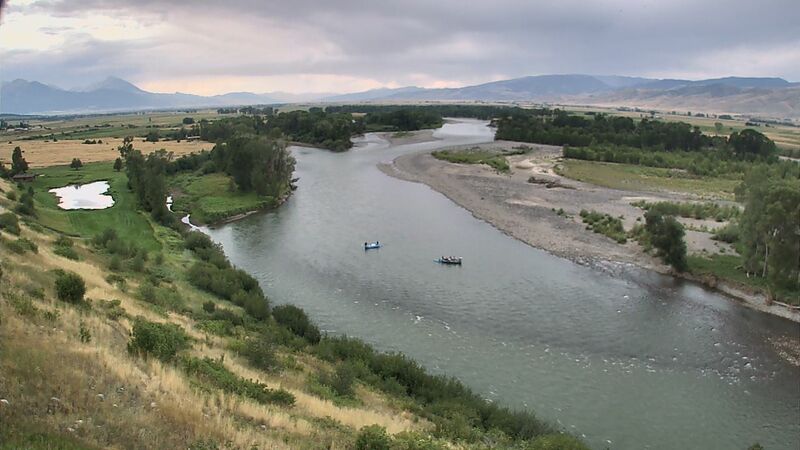 The Yellowstone River is in great shape after a serious heat wave. Temperatures in the upper 90s all week have put a bit of a damper on fishing the afternoons, however the morning bite has continued to produce fish. Flows at Corwin Springs are steady at 3,380 cfs and 4,000 cfs near Livingston. The river looks great, as clarity is at its highest and cool nights keep the temps in a good range. We have had our hottest week of the year here in the Paradise Valley, although river temps have not gotten too high. Throughout the days, temps have ranged within the 62-67 degrees Fahrenheit. Terrestrial season is now fully underway. Hoppers, beetles, and ants have been working well throughout the days, however the mid day heat has certainly caused fish to focus sub surface for the hottest parts of the day. Try out some Morrish Hoppers, Chubby Chernobyls, Thunder Thighs, and other medium sized hopper/attractor patterns to entice a hungry fish. Come by the shop and we would be happy to help you find the right patterns for the hopper bite! Additionally, fishing small beetle patterns, crickets and ants has been moving fish as well. It may be a little bit longer before we really have lots of ants on the water, but doesn't mean the fish aren't looking up for them. The upper sections of the river, above Yankee Jim Canyon, have been seeing a solid number of Spruce Moths as well as the evening Caddis hatch which continues to produce a decent amount of bug activity. When fishing in hot weather like we have had the last few days, please be mindful of how you handle fish. As river temperatures go up, oxygen levels drop, this puts a ton of pressure on fish especially after a hard fight. Make sure you are keeping fish in the water and giving them a chance to catch their breath before releasing them.